Poisoned Pen Press, 9781590585641, 255pp. 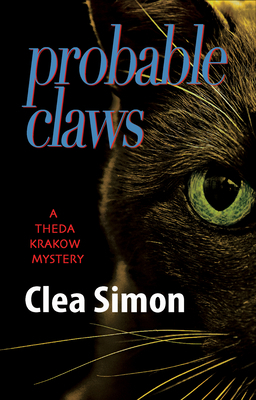 When cats start getting sick, feline-loving freelance writer Theda Krakow suspects an accident is to blame. But her shelter-owning rocker buddy Violet claims the contaminated kibble was poisoned. When Theda starts looking at shelter politics, she finds a litter of suspects. The city shelter may be backing down from a healthy pet initiative, and a series of threatening letters suggests a darker motive. Old-fashioned jealousy may factor in as well. The pressure mounts as Theda's editor grabs onto the idea of a hot story - and dangles a prime job as bait. But how can Theda investigate when feelings, and felines, run so high? As the music scene rallies to raise funds to save the cats, Theda finds herself on the outs with both her friends and her long-time boyfriend Bill. And when she's caught at a murder scene, bloody scalpel in hand and only her beloved cat Musetta as a witness to what really happened, Theda must scramble to find the real killer before she and Musetta become the next victims.